Variation of lighting modes, suitable for different situations and movements. Warm White / Red / Green light providing visual comfort. Red / Green for reading, astronomy star, maps, and preserving nightvision, hunting. 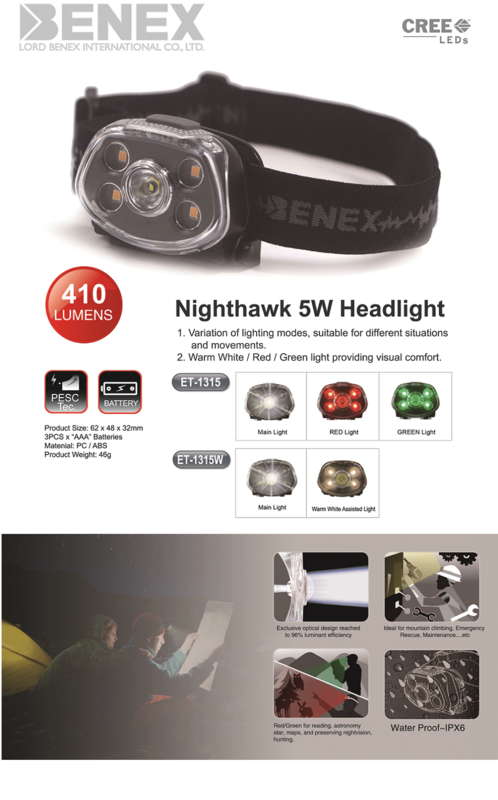 Ideal for mountain climbing,Emergency Rescue,Maintenance....etc. 1. Adjust the length of head strap to fit your head. Broad angles of warm white LED producing true and natural color that can penetrate well through the foggy area. Easily switch to Spot Beam (White) / Flood Beam (Warm White) Illumination.